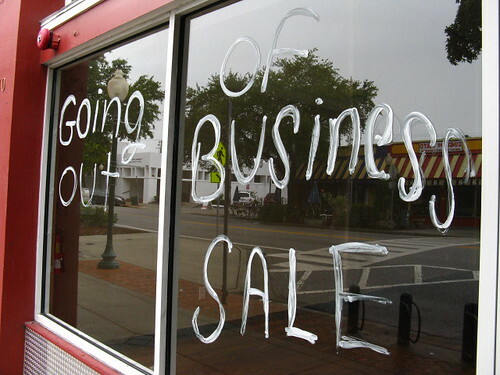 I just wrapped up a quick Memorial Day vacation with the family and wanted to write a short and powerful post, that shows an example of how many businesses, actually put themselves out of business. First, I ‘d like to say THANK YOU to those who serve and have served our nation. Many have lost friends and family who were making sure we still have our freedoms. Their sacrifice should never be forgotten. This Memorial Day we had what has become our annual vacation to a friend’s house on the east coast of Florida. It’s a great little vacation for us to hang out with friends and hit the beach, do some fishing and just unwind a bit. Each year on the way back home, we first stop at a coffee house that also sells Hawaiian Shave Ice. It became part of our tradition to go there. Last year when we went there I had enough cash to buy shave ice for the whole family but not enough for the coffee I wanted as well. Unfortunately, this coffee house was still not accepting credit cards. I tell new clients all the time that not accepting credit cards today is business suicide. So forgetting that this place ignorantly only accepted cash, I wasn’t able to buy a coffee unless I used their ATM. If you follow me on Facebook or Twitter, you may remember me making a statement last year about this event. I commented that instead of paying $4 in ATM fees to get my coffee, I simply walked next door to Starbucks. That’s right, a Starbucks was right next door! A huge cannot fail corporate coffee house right next door and they were not accepting credit cards. It’s not that people wouldn’t make sure they had cash to go to a place like this. It was the kind of place you would make sure you had cash for. However, not everyone would do that. And it wouldn’t always be the most convenient way to get a coffee. Especially when there was a place ready and willing to accept your credit card right next door. This coffee house was a very cool coffee house in a great spot right on the beach. They offered a different product and experience than a Starbucks has. As I’m sure many did, we loved the beach environment and the layout. They had a great little area with board games and we would play some games while enjoying our shave ice. You can go to a Starbucks anywhere. A beach coffee house was a different experience. Last year when they lost a coffee sale from me, I commented to my wife that there was no way they were going to survive without taking credit cards. So this year, although I was disappointed to hear it, I wasn’t surprised when I heard they went out of business. This place had great reviews on review sites. People loved it. They actually had a lot going for them. In fact one of the reviewers mentioned how much better it was than Starbucks. The point is, I hear so many reasons why a business is hurting. The economy, competition, etc. But many times it is just not being smart with their business that is really costing them. The reason I titled my first book “10 Ways to Put Yourself Out of Business” was because I find this to be true so much. There’s plenty of money out there and customers willing to spend it but you need to be smart about your business to get some of it. So be smart, so you are not having to memorialize your business! Previous post: Did You Not Mean to or Did You Mean Not to?